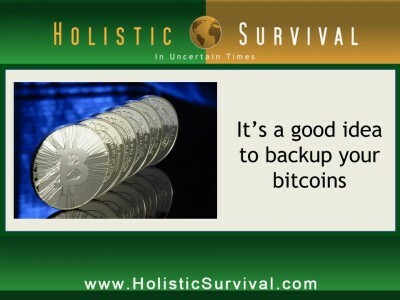 As nothing more than a simple computer file, it’s easy to backup your bitcoins to another storage device – and here’s why you should! You’d think one of the primary advantages to using digital coinage like bitcoins would be they’re impossible to lose or accidentally throw away. If you think that, you’d be wrong. Just ask James Howells from the UK. This young man squirreled away 7,500 bitcoins on his computer hard drive back in 2009 when they were worth barely enough to even remember they existed. Somewhere along the way, he tossed out the computer they were stashed on (along with the cryptographic key to retrieve them). For the past four years that computer hard drive has sat in a trash landfill the size of a football field while bitcoins have exploded in popularity and value. We know the question you all want answered. How much are James Howells’ 7,500 bitcoins worth today? With a recent spike above the $1,000 mark, the present value would be around $7.5 million. Ouch and ouch again. Yes, the dude pitched out millions of real dollars in value and now he’s desperate to locate that hard drive. The problem is, as already alluded to, the hard drive is several feet below ground in an active landfill and only getting deeper as time goes by. To his credit, Howells isn’t simply sitting around and whining about his misfortune. He’s looking for the thing. The trouble is that one man digging with a shovel is like looking for the proverbial needle in a haystack. And the haystack is getting bigger! Without the money to mount a more serious hunt, Howells’ odds of finding the valuable hard drive grow dimmer by the day. We feel for Mr. Howells. We really do. But active landfills are a notoriously poor choice for storing your valuables. There have been other instances of spotty bitcoin storage. Kristoffer Koch, a Norwegian, bought $25 worth of bitcoins about the same time James Howells did and promptly forgot about them also. Luckily he managed to locate the wayward stash and cash it out for a nice $848,000.